Upower Leadership Program is a non-profit initiative that trains, empowers and mentors women in regional and rural areas to start small businesses. 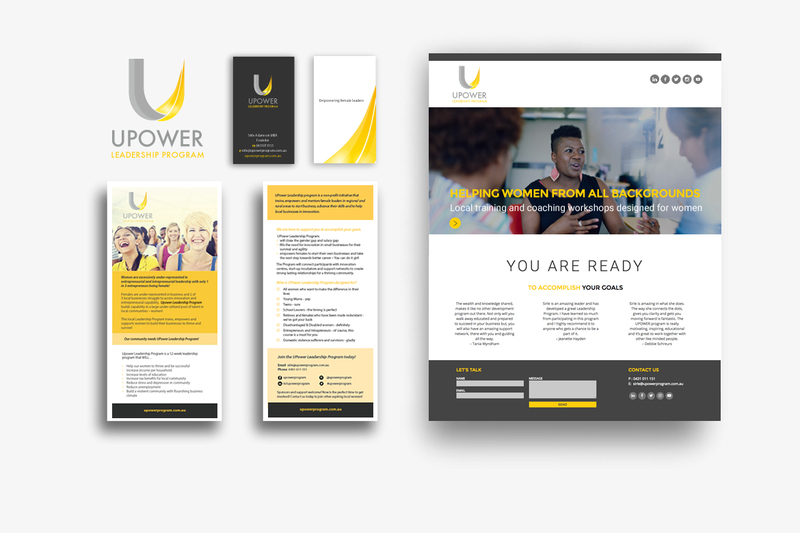 Upower were looking for fresh contemporary branding that reflected positivity, opportunity and innovation. As a non profit, budget was tight and exposure needed to be wide so the branding really needed to work hard and be versatile. Blue Lily worked closely with the organisations founder, Sirle Adamson to create a brand that is professional, yet energetic and reflective of the organisations core mission and passion.